A rumored fight between Eric "Butterbean" Esch and "World's Strongest Man" Mariusz Pudzianowski has turned into a headline bout at KSW 14 on September 18 in Poland. The Polish dominator, Marius Pudzianowski, was one of the headlining fighters in Moosin last May. 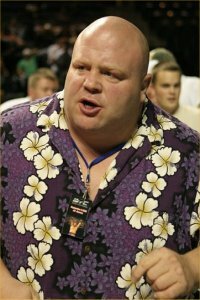 After an agonizing defeat to America’s Tim Sylvia in the super heavyweight event, the Polish-bred fighter is slated this time to fight against Moosin’s exec Butterbean comes September. Now things have begun to come into light. It looks like the Moosin group press release was indeed a promotional tool, but not for this headline fight. It was for the Poland’s KSW 14 matches altogether. But the Butterbean-Pudzianowski will definitely be a bout to watch out for. By the way, here are the other fighters in the KFW 14 lineup, also to watch out for: UFC veteran Per Eklund, the undefeated greenhorn Michal Mankiewicz, Sengoku 13 participant Kazuki Tokudome and M-1 Challenger veteran Niko Puhakka, alongside previously announced competitors Artur Sowinski and Maciej Gorski.